GPS data: This is the most common but least accurate. Because the GPS satellites are scattered throughout the sky in a more-or-less horizontal plane, the vertical accuracy is simply not very good. In a canyon or among trees, fewer satellites will be available (and/or the signal may bounce around), and it will be even worse. Barometric data: Many GPS devices come with a built-in barometer/altimeter, and they use the barometer for elevation data. This can be quite accurate, if the barometer is properly calibrated and if the weather doesn't change. Generally, altimeters do a pretty good job with relative elevation changes. 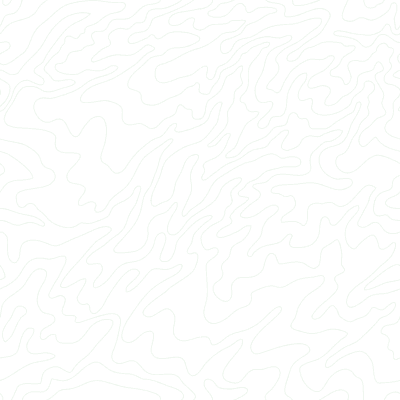 DEM (Digital Elevation Model): A DEM is a database of known elevations for many points on the earth — ideally millions or billions of points — derived from topographic surveys and/or from orbiting radar or lidar. High-resolution DEMs can produce pretty good estimates, especially for roads and other places where the trees have been cleared and the remote-sensing spacecraft can see clearly all the way to the surface. Manual calculation: If all else fails, you can add points to your data manually, using known points from high-quality surveys or topographic maps. If you know exactly where your track changed from going uphill to going downhill (or vice versa), this is the most accurate method for calculating elevation gain; you don't have to know the elevations of all the points, just the places that it changed direction. If you add up the gain from all of the blue ascent segments, you get 20 meters — as if you'd climbed up a six-story building. But in this case, we know that it was flat ground, and those 2m peaks and valleys are just noise. Now let's look at some real data: below is a map and profile of a 16km loop hike around Mt. Hood's Zigzag Canyon that starts in the southeast and goes west and uphill for 0.8 km (blue), then mostly descends for 5.4 km (red), with a few small ascents (green) along the way; then it ascends to the northeast for 6.5 km (light blue), reaching its highest point, and finally descends south back to the starting point (orange). How can we find the true elevation gain of this track? We'll start with manual calculation, since it is the most accurate, and we can use it as a baseline to evaluate other methods. First, we identify all of the "nodes" (for lack of a better term) where the track switches from uphill to downhill, or vice versa. Then we'll use DEM data to get the actual elevation of those 11 nodes. If we add up the elevation gain of the "up" segments, we get 1068m. The elevation loss in the "down" segments also comes to 1068m, because this trip started and ended at the same point. Of course, there's almost always at least a little bit of up and down that wasn't captured by differences between the nodes, so we'll add a little extra and call it 1080 meters. We can feel reasonably confident about this result, but it required a lot of work — not to mention first-hand knowledge of the trail. Simple, right? But here's the problem: if we continue this calculation for all 3805 trackpoints, we find an elevation gain of 2326 meters (and a loss of 2322m, because the GPS device can't even agree with itself about the elevation of the starting/ending point). Recall that the correct figure is about 1080 meters; if we use the raw data directly from the GPS, it tells us that we climbed twice as much as we really did! This is a difficult hike, but it certainly doesn't climb 2000+ meters. There's just too much noise in the GPS data. The green DEM line is much more reasonable, and we can calculate its gain/loss using the same spreadsheet as in the previous example. This time, the total gain/loss comes out to 1434 meters. This is still about 33% higher than reality, but it's a lot closer than the GPS-only result. But surely we can do better: how can we make the calculations even less sensitive to the jiggles and wobbles that are inherent in GPS tracks? GPS Visualizer's trackpoint elevation threshold is very similar to the trackpoint distance threshold (described in the "Smoothing & Simplifying Tracks" tutorial). But instead of looking at horizontal distance, it only counts elevation changes once they've passed a certain vertical threshold. Here's a profile of a hypothetical track with eight points. The horizontal distance is irrelevant; we're just looking at elevation gain. The raw elevation gain (the sum of all the elevation increases) is 5m+2m+5m+3m = 15 meters. The raw elevation loss is -4m-2m = -6m. Now we'll apply the trackpoint elevation threshold algorithm, with the threshold set to 4 meters. This means that in calculating the gain/loss, we will ignore any point that is not at least 4m up or down from the last valid point. The first point is always valid, so we'll keep A and color it green. We can also keep B because it's 5m above A, and that clears the threshold; B is now the last valid point. C is only 2m above B, so we toss it out. D is 4m below C — which would have been far enough to pass the 4m threshold — but we removed C, and D is only 2m below our new baseline of B. So D gets removed, as do E and F.
In the end, we're left with just three points: A, B, and G. The elevation gain is 5m + 4m = 9m, and the loss is 0m. If the hypothetical example of points A through G is from an ascent with no downhill segments, then the elevation threshold algorithm has clearly improved the gain calculation, from 15m down to 9m. On the other hand, if the drop at point D was in fact a real loss of elevation, then we've oversimplified it. It's important to pick a threshold that works well with the data set in question, although in the end the erroneously removed ascents and descents do tend to cancel each other out. Yikes, that's awful. We should probably stick with DEM! So far, we can see that using DEM elevation data is obviously a better solution than using the raw unfiltered GPS data. But why is the elevation gain estimate still too high until we apply an elevation threshold? Shouldn't the peaks and valleys be smoothed out entirely by the magic of DEM? One problem is that while vertical GPS altitude data is generally pretty bad, the horizontal data is not 100% accurate either. And if a track goes along a hillside, or a valley bottom, or a ridgecrest, that's going to really muck up the elevation data that comes from a DEM database. A visual example should help explain why. ...until we look at it from the side. The red line in this example has a calculated elevation gain/loss of 146/119 meters; the green line is 73/47. (And the reality is probably closer to 50/25.) The red line is just too wobbly; is there anything we can do to fix it? The difference is apparent in the elevation profile too. In fact, the red line's gain/loss is now 78/51 — very similar to the green line — and the total distance has been corrected too. So, clearly, using GPS Visualizer's trackpoint distance threshold function can help you find more accurate elevation gains — not to mention distances. In this example, we used a 20m distance threshold, which is pretty extreme and might remove important details, but a distance filter of 10m or less is usually pretty harmless. To get the most trustworthy results, you might want to apply both distance and elevation filters. And in general, the more you filter your data in the horizontal plane, the less you'll need to apply an elevation threshold. Have your GPS data replaced with DEM data. Apply a trackpoint distance threshold (5-10 meters). Apply a vertical elevation threshold (10 meters seems to be reasonable, but a lower number would make sense in flatter terrain). All three of these can be applied at once, if desired, via any of GPS Visualizer's input forms. The result is still not guaranteed to be correct, but the truth is that no Web site or application can promise 100% accuracy in this department. What's unique about GPS Visualizer's methods is that you know exactly what is happening with your data, and you can adjust the process as necessary.